Boarding was not yet conducted when I arrived at the gate area, and I had to wait a couple of minutes before they started boarding Business Class passengers and those needing assistance. 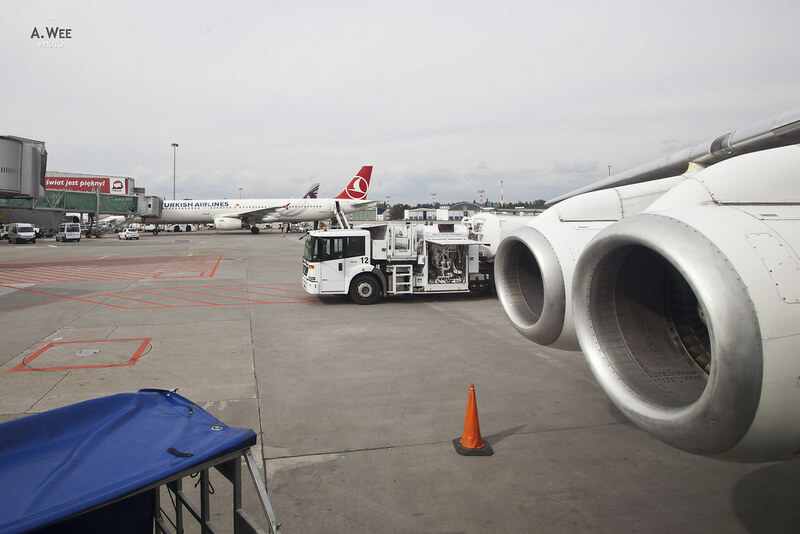 There was also a bit of a mix-up or confusion as passengers were held on the path to the aerobridge after the boarding pass was scanned at the initial stages. My guess is that the crew was probably not ready yet and they were in a hurry to board since it was getting late. Since it was an intra-European flight, Business Class is basically the same seat as Economy only with the middle seat or seat next to you being blocked off. 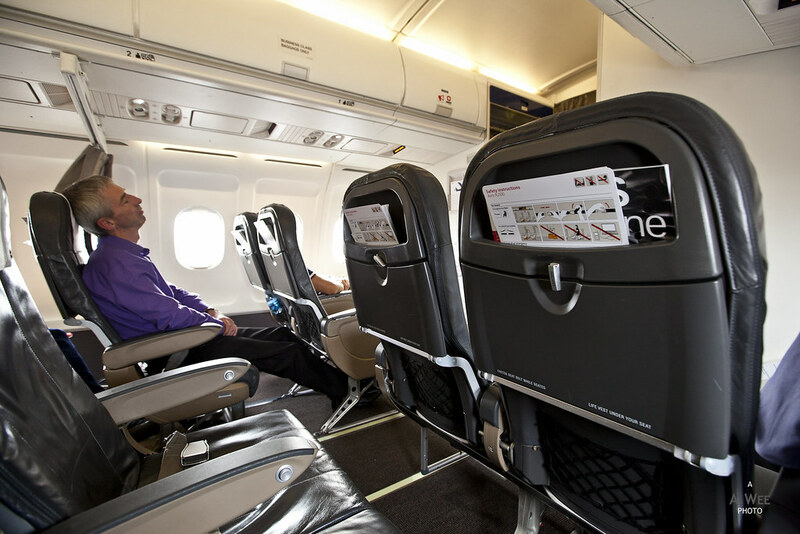 In a 2-3 abreast seat configuration, the premium cabin ended up with 4 people. Though before pullback, one guy wanted to self upgrade to business class and was promptly sent back by the crew on this flight. 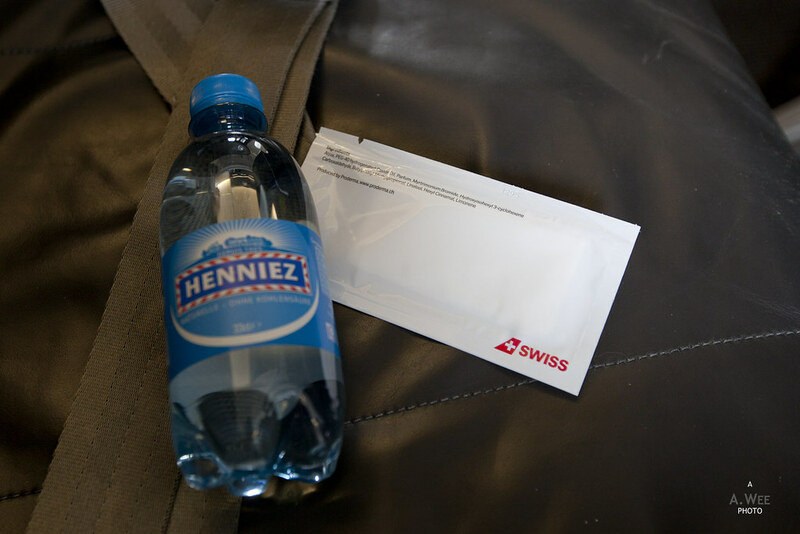 With boarding complete, the stewardess gave out water bottles and packed wet towels. Then newspapers were offered to passengers. The late boarding was exacerbated with quite a long taxi as there was a short queue for the runway. I think the late pullback also meant our take-off was delayed. On my seat, the legroom for the flight is slightly more spacious than my domestic flights on LAN Chile. But the seats are the standard slimline seats that I am not a big fan of as they are the least comfortable. 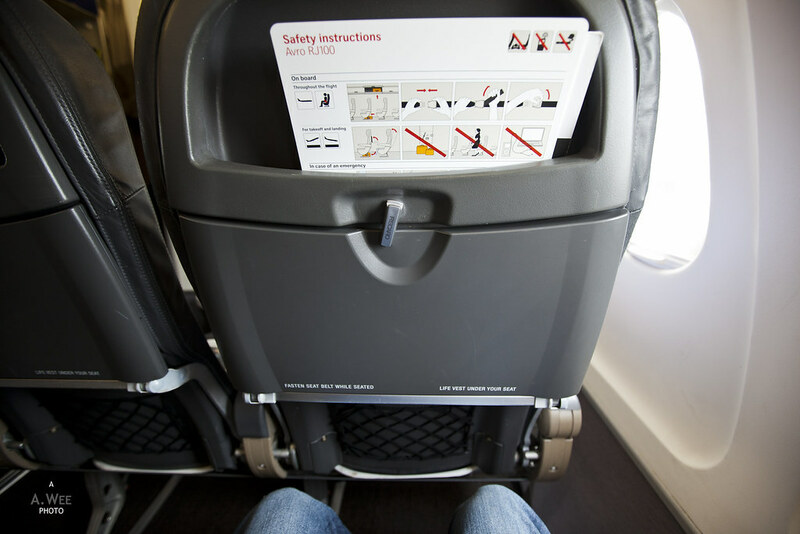 On the seatback pockets, there is the Swiss inflight magazine and a safety instruction manual. 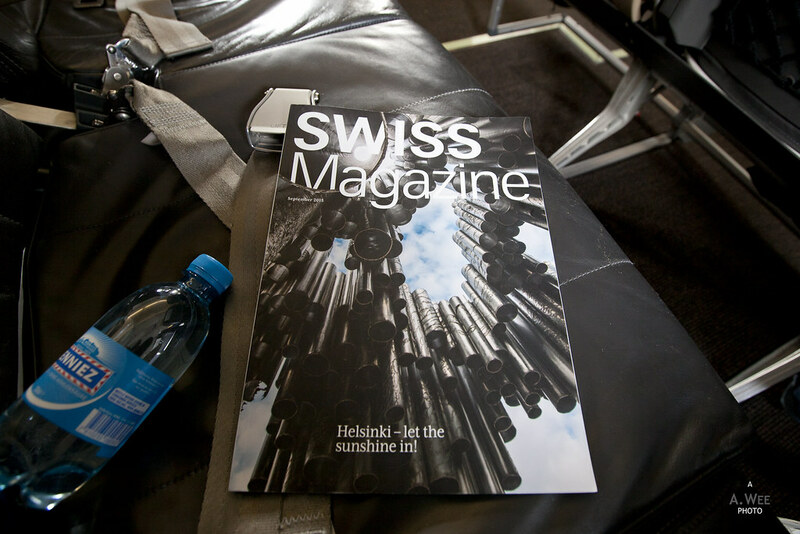 I do like the inflight magazines published by Lufthansa and this first flight on Swiss also shows the family relationship as Swiss is part of Lufthansa along with Austrian. Upon reaching cruising altitude, the sole flight attendant closed the curtains and prepared for the meal service. 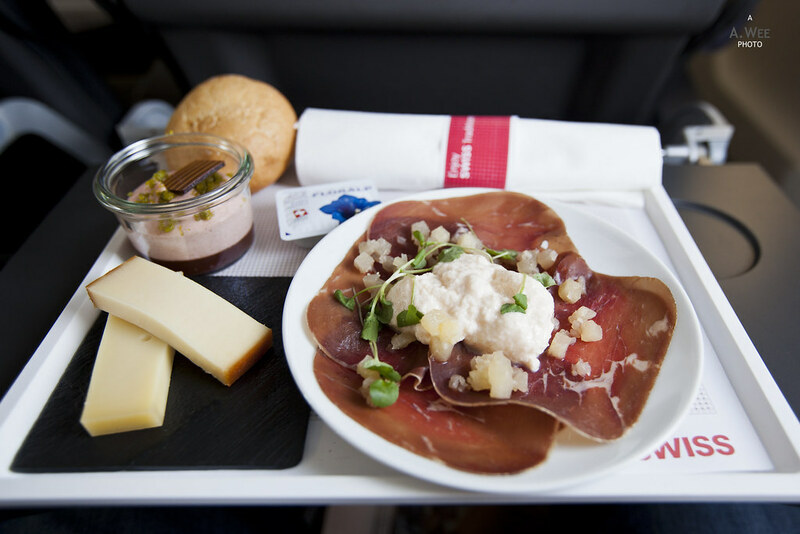 Business class passengers still do get a complimentary meal and there are buy-on-board options for other passengers. While there was no menu, I received a tray with ham and cheese along with a raspberry mousse topped with chopped pistachios. Bread was also offered from the basket, and I had a glass of apple juice to drink as well. While it was a cold dish, I thought the ham was quite nice and the cheese was edible too. 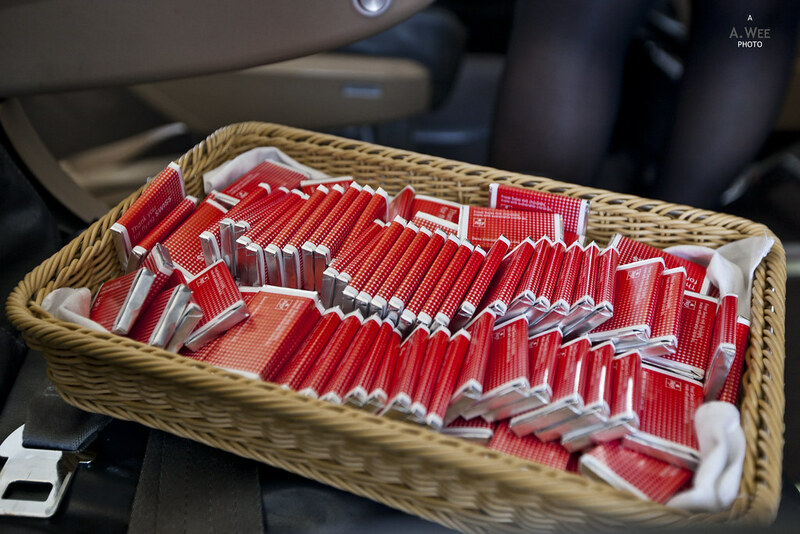 North American airlines should consider something like this rather than just chips for a 2-hour flight. I actually enjoyed this small tray of food probably more so for the quality of the food. 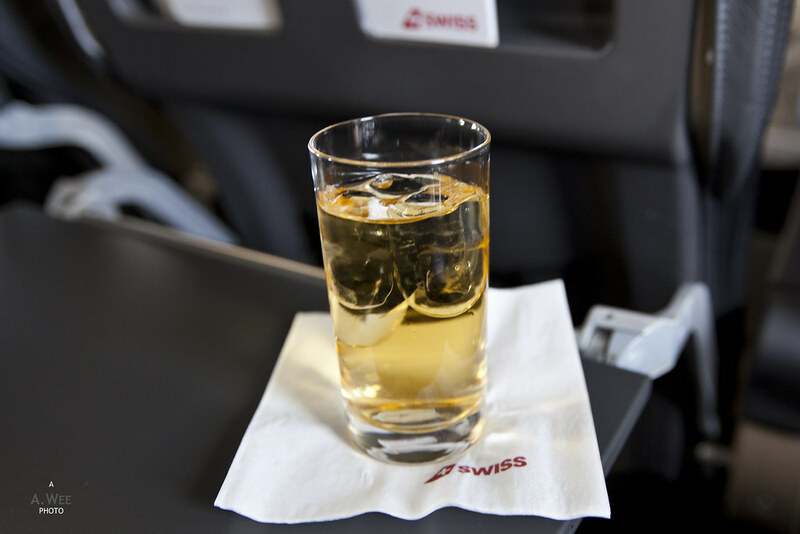 The friendly stewardess kept the glasses filled and the service onboard Swiss was amazing! The stewardess was very sincere in providing the service as she came round the cabin several times to check on the passengers and also offered tea or coffee at the end after collecting the meal tray. And I would not reject a good cup of coffee. 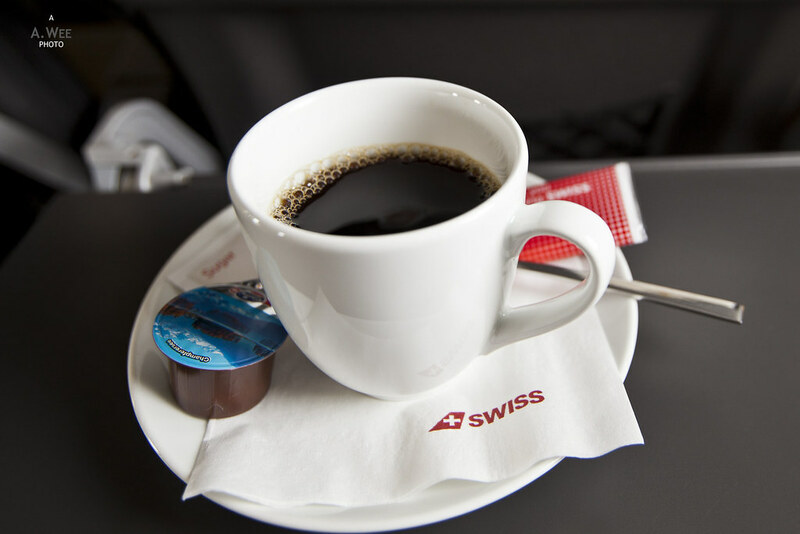 Swiss in my opinion serves a very good cup of coffee onboard, similar to Singapore Airlines. Maybe I was lucky for this flight, but the stewardess probably saw my tons of photo taking during the flight and started a conversation. 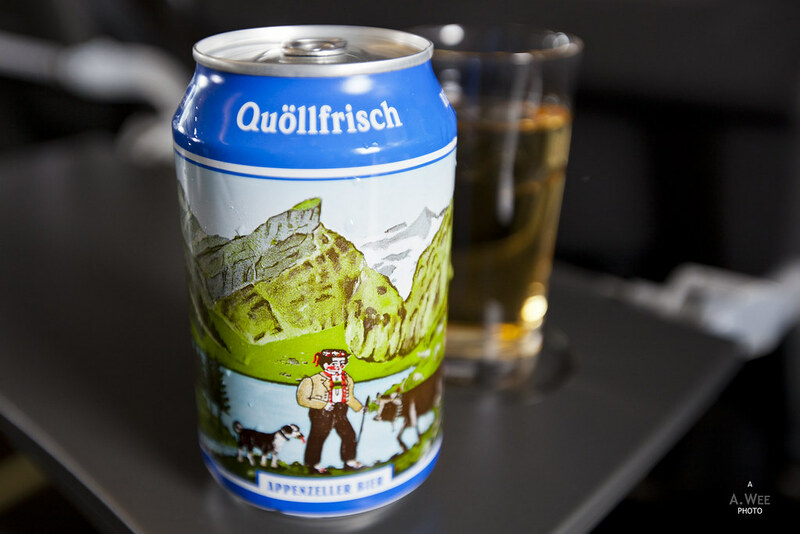 She even gave me a can of beer as a souvenir for the flight, while promoting Switzerland and Swiss Airlines. 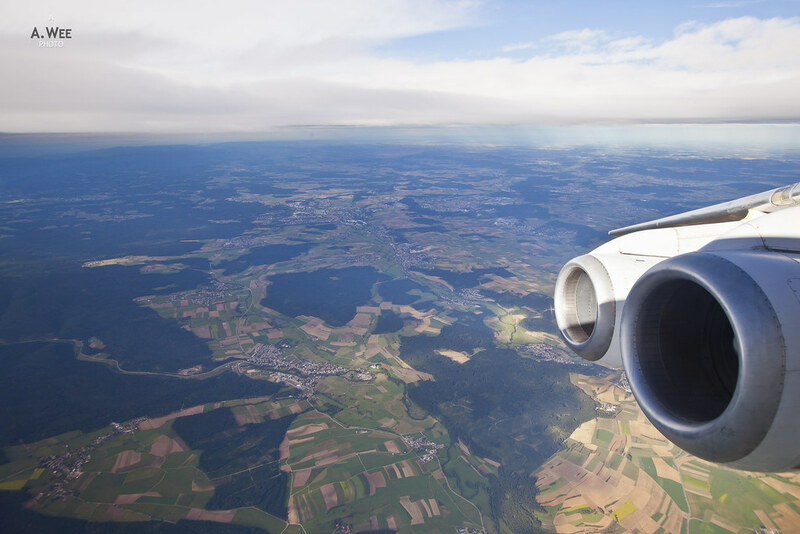 The other 3 passengers were very quiet and did not ask for much throughout the flight and maybe that also allowed her to place more attention on me as the sole leisure traveller in the Business Class cabin. 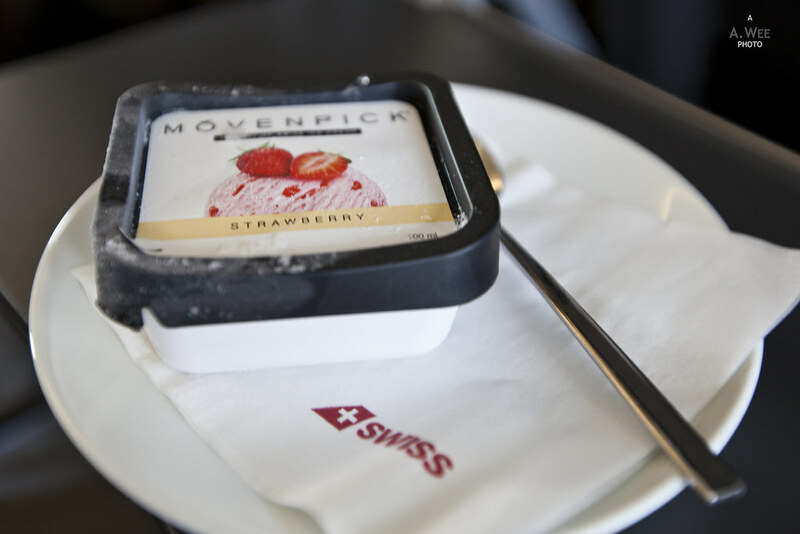 At the end of the meal, the flight attendant also offered Mövenpick strawberry ice cream to business class passengers. 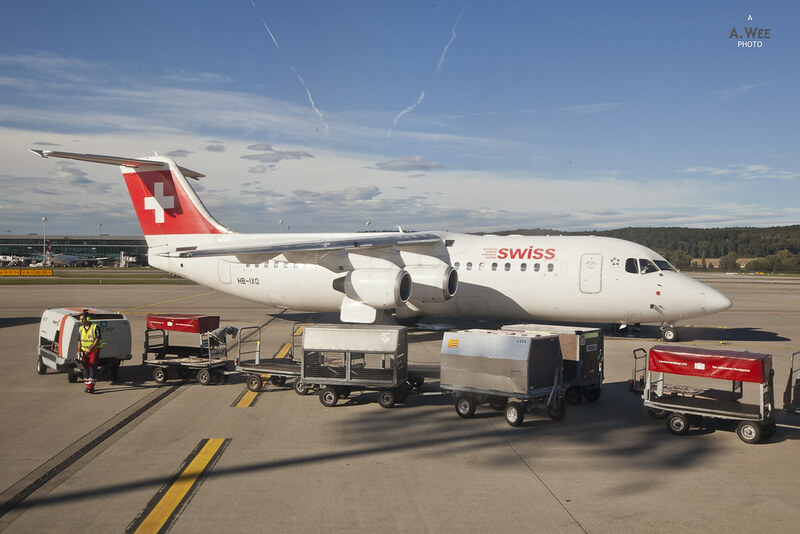 As the pilot started announcement for the descent, the stewardess came out again with a basket of chocolates, another Swiss specialty and trademark service. 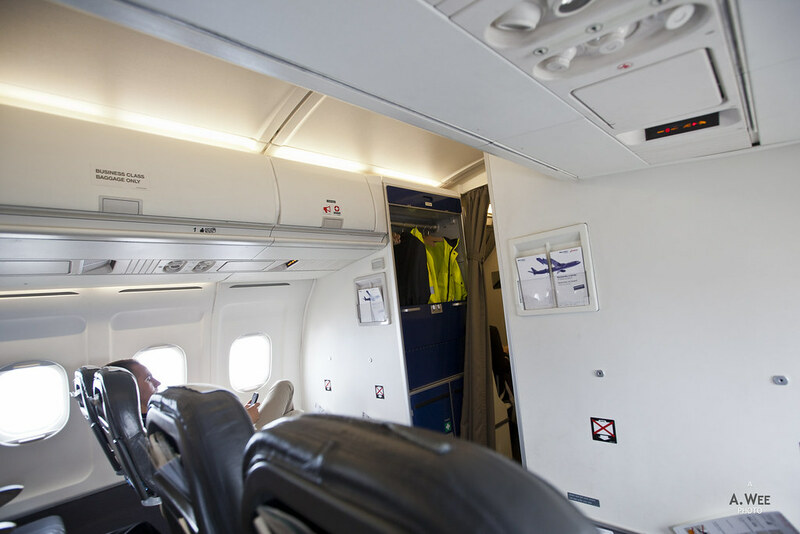 During the descent, the pilot made an announcement regarding the delay and apologized to passengers. He also mentioned to passengers on what they need to do if they missed their connecting flight. Turns out we will arrive late and several passengers connecting to Luxembourg might miss their connecting flight. One of them is an executive travelling with a junior colleague that is seated in Economy class. He asked for assistance from the stewardess who brought the colleague over to be seated in the front so she could disembark quickly. I found that the crew onboard were very involved in ensuring the passengers get to their final destination and that concern was a mark of great service. That left me impressed. 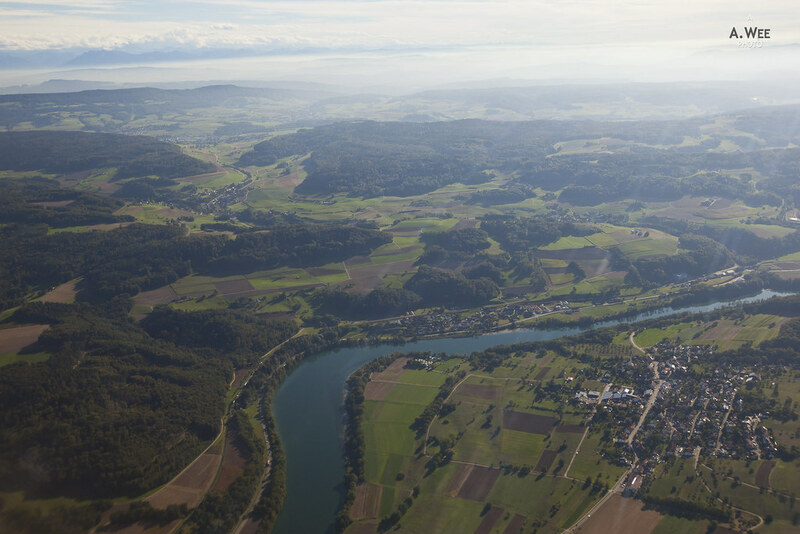 Since I have no plane to catch, I just enjoyed the scenery on the descent and it was a beautiful view as we made our way towards Zurich as the sky cleared. Our route took us across Bavaria in southern Germany and across the Rhine river into Switzerland. 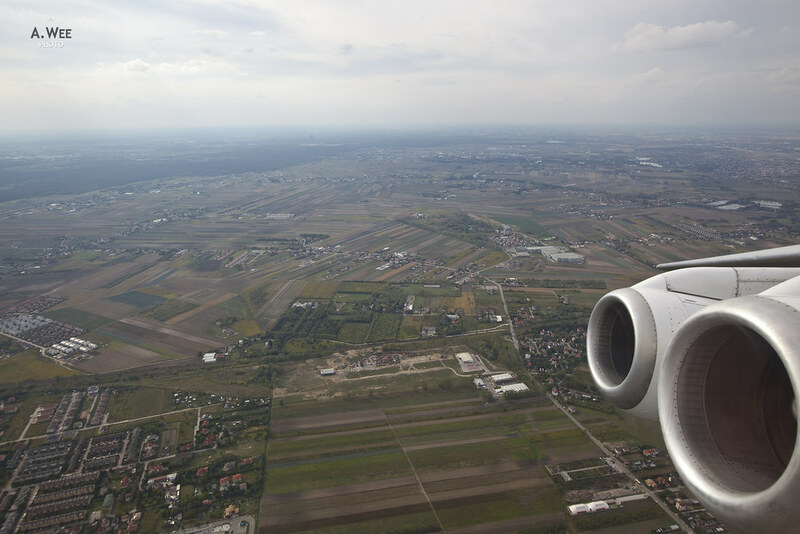 Landing into Zurich was like arriving into another mid-sized airport. The air traffic feels quiet here with Swiss jets dominating the view out of the window. To make matters worse for the connecting passengers, we parked on a remote gate where all the small regional jets seems to be at. 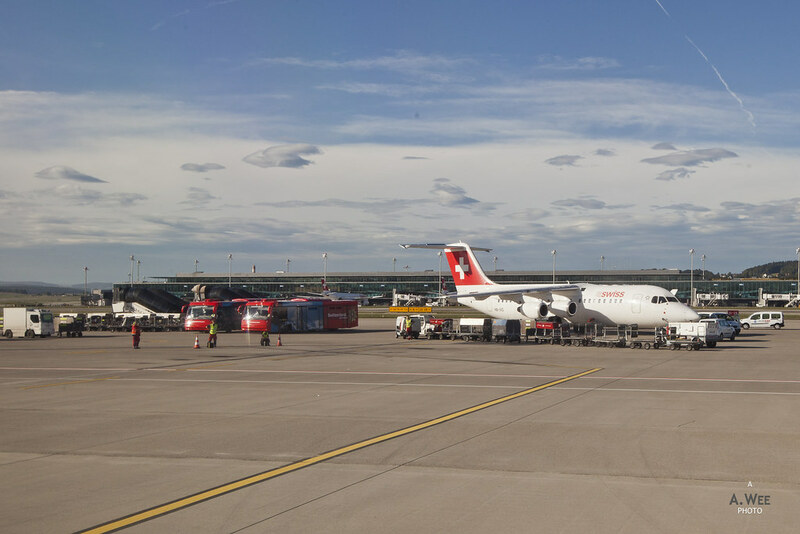 There is another Swiss Avro RJ there with an Intersky Dash-8, along with a row of other regional jets. 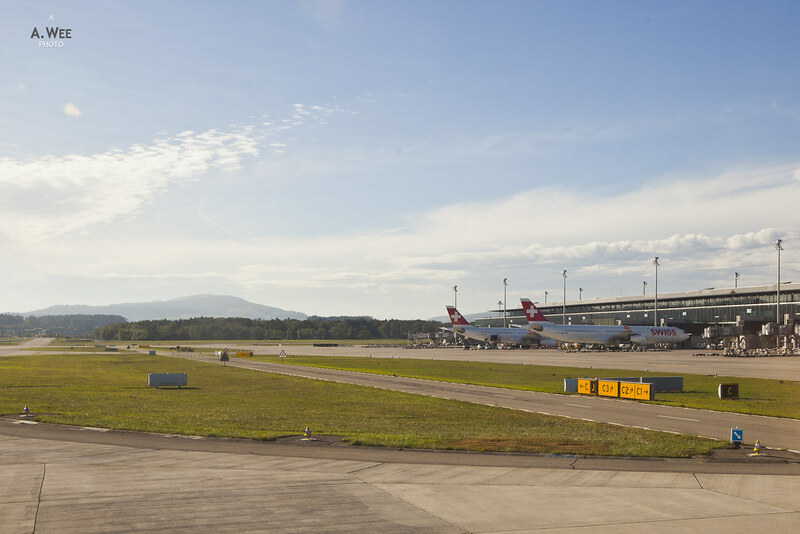 Seems like Zurich Airport might be a small-jet spotter heaven. There was a separate bus for business class passengers and that quickly brought us into an empty terminal. Since this is Switzerland we are speaking of, the cleanliness was evident in the terminal. It was probably one of the cleanest terminal I have been to and the emptiness made it even more surreal. As you can expect, the advertisements here showcases banks, watches and ski resorts, all famous Swiss specialties. 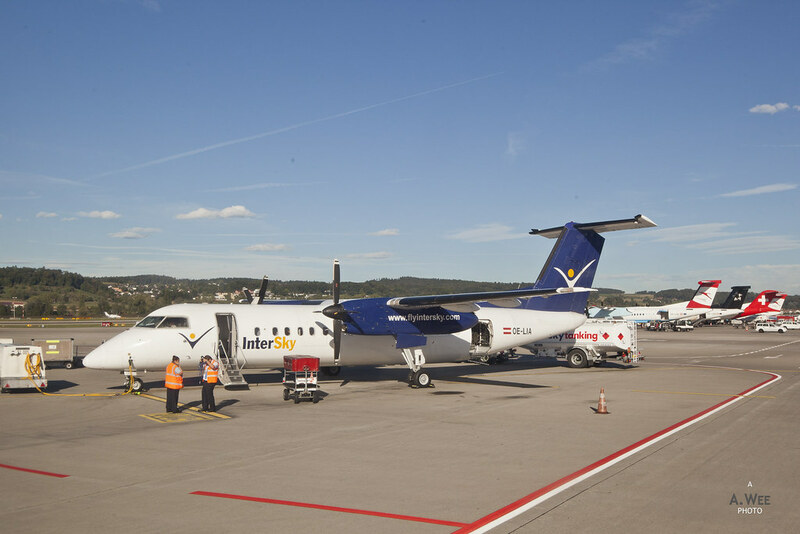 On what might be a boring regional jet flight to many Swiss businessmen, I actually had one of my most memorable flight. 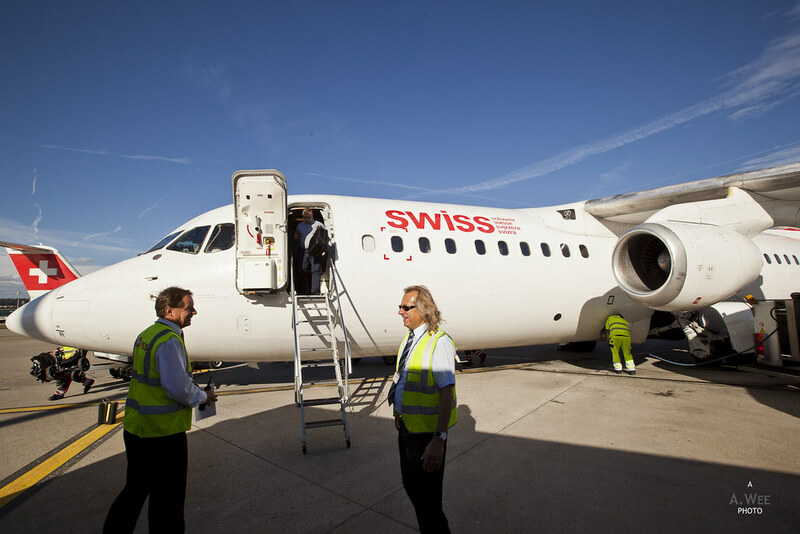 Maybe it was the first time experience of flying onboard Swiss or my first time onboard a small jet with 4 engines. 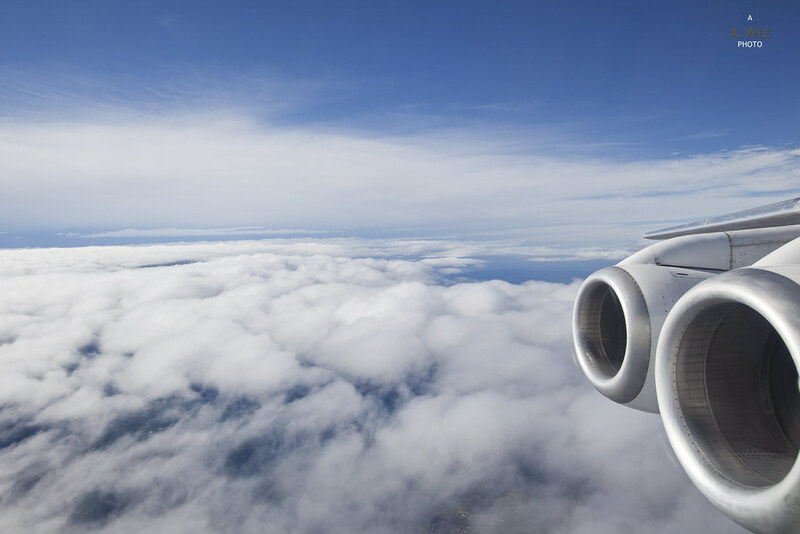 But there was just so many enjoyable points to the flight after the boarding from the attentive service to the nice quality meals, to the great coffee and chocolate and finally the communication by the crew all combined for a great flight. Swiss Airlines has definitely become one of the airlines I want to fly in the future after this experience. @Moritz, glad I got to fly on these little jets before it is phased out. These are probably not the most efficient planes out there nowadays and that is why they get rarer by the day!